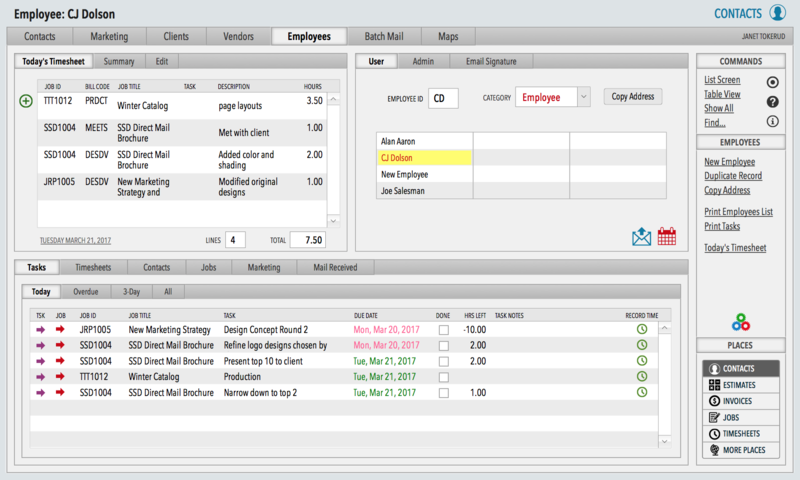 The first screen seen by each Studio Manager user is the main layout for Employees in Contacts. The functionality on this screen is so helpful that it has been given its own name: the Employee Dashboard. The purpose is to give anyone you’ve authorized, a bird’s eye view of their assignments as well as a timesheet for the current day. Features include the ability to make timesheet entries and to mark tasks as done. Easily navigate to more information as needed with one click on an arrow at the left of each task, time and job listing. Saves time and keeps focus on the real work to be done. Click to see this at full resolution. Quickly enter time for the current day only. 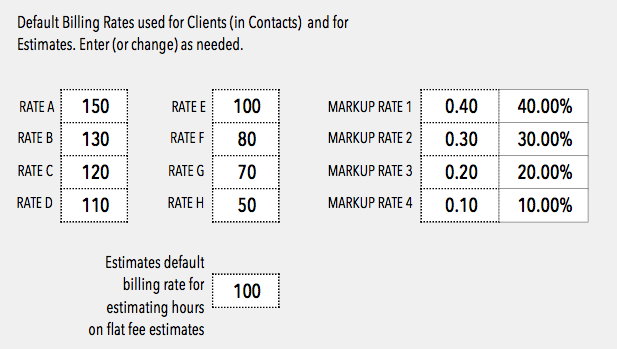 The mini timesheet is a simplified version of the full timesheet. Click the above screenshot for a detailed view of the mini timesheet. Or… try the SM15 demo. View tasks that are overdue and currently due without even clicking. If time was budgeted for a task, the remaining hours estimated are also displayed. To enter time into the timesheet, click on the green clock icon. The new line created will contain the Job ID and the task number. Click on an adjacent tab to see just overdue tasks or those due within the next few days or all tasks not marked Done. Click the screenshot above to have a look at the lower part of the screen. Each active job assigned appears in this portal. Clicking on the green clock icon inserts a new line in the timesheet with the Job ID already included. If you are the person running traffic or managing the office, you’ll like the employee navigator. 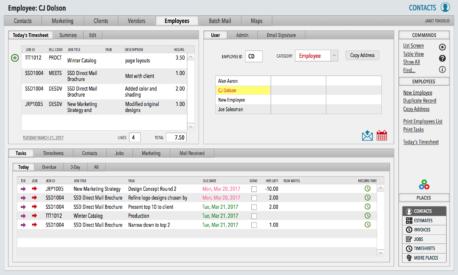 It allows you to quickly review any employee dashboard to check on tasks assigned or timesheet completion. This quick navigation and overview really comes in handy when there are a many employees to monitor. You can adjust the size of this navigator depending on the number of employees. Here we show 12 slots which is the default. Click on the top screenshot to examine the navigator in more detail.